1930's Model A truck bed is hard to find in good shape. And if I did find one i was going to modify it anyways.. So decided to build my own. I used a bead roller to give it the factory look. started with the sides and then the floor. what did you use to make all those small cuts on the bend? car needed more foot room. so i built some side scoops using 22 gauge sheet steel. This gave me a nice rolling bend that follows the sweeping curves of the car. 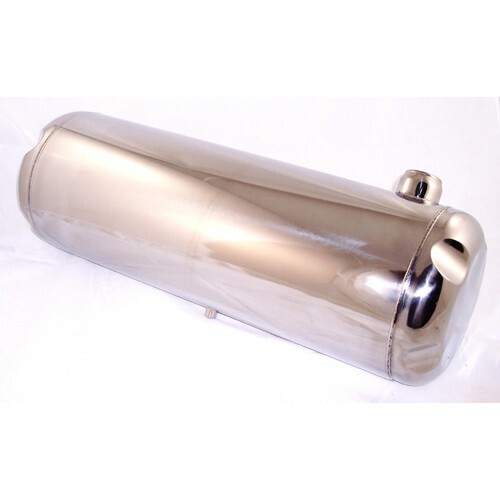 this is 10"x36" stainless tank The tank is typically used up high in sand rails and 2wd buggies. I wanted it tucked under the bed hidden away. However the fill neck and line ports were in the wrong spots. So i had to move them. I also did not like the straps that these use. i made new mounts. had to build a jig to roll the 3/8x5/8 bar stock. gas door with custom made hinge. Haha, it's almost a shame that you can't see the tank. Nice!